is it 2B marketing is in the process of building a social media campaign to promote 2 all-natural premium juice beverages from Envy Foods. Cosmic Friut Smoothies contain 3-3/4 servings of fruit per bottle. Envy sparkling and non-carbonated 100% fruit juice beverages may be the best-tasting, natural alternative to soda on the market. Visit envyfoods.com to find out more about these exciting drinks. Ourtownhasit.com is the portal to connecting people to businesses and events within the St. Croix River Valley area. Not only have we developed websites for select towns in the River Valley, but we've developed kiosks that are located in select areas for visitors. Now visitors and locals can interact with the kiosks to find events, restaurants, and other fun things to do in the area. 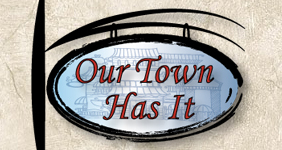 Visit ourtownhasit.com to find out more about what's going on in the River Valley. 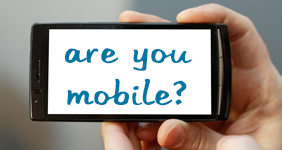 Are you mobile? Then so should your website. is it 2B marketing specializes in Respnsive Web Design. Our design team develops websites using the latest and greatest in website coding, such as HTML5 and CSS3, to ensure your website is displaying just the way you intend it to be on desktop computers, tablets and mobile devices. Click here to find out more on how is it 2B marketing can help optimize your website. Located in Hudson, Wisconsin, is it 2b marketing provides customized tactical marketing integration and managed media services. So what does that mean for you? Everything! We can do it all from creative graphic designs & websites to updating your business's Facebook presence. Our specialty is building you a tailored presence on the web infused with our managed services at a reasonable price. We are a small and dedicated team focused on your business growth. is it 2B marketing - Marketing You and Your Business from is it 2B TV on Vimeo.